I agree with the majority of folks out there that Pinterest is pretty fabulous. While I’m not one of those people who has to “pin all the things!! !” I do enjoy having a visual space where I can collect all my favorite finds from around the web in one neat little package. And it’s a great planning tool! You can find all my pins right here. I used my Pinterest as a planning tool for an event I put on over the weekend. I celebrated my 30th birthday! In reality, I had a 4-day celebration, starting on my actual birthday (on Thursday) and through to Sunday, but my little party was Saturday, and Pinterest was a big help in guiding my inspiration. Ever since my wedding, I really enjoy planning parties and executing all the little details! This one was no exception. I had a handful of fun craft projects. 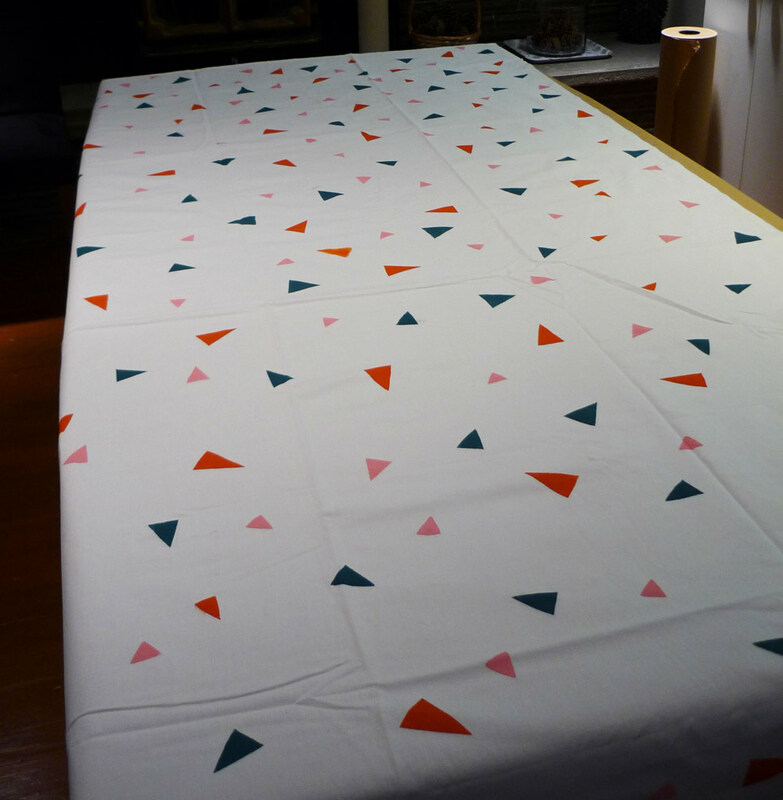 I loved this idea for ages before I got around to making my own painted tablecloth. I took a different design direction, but the process was the same. I wanted a kind of triangle confetti pattern, and I chose a dark orange, pastel pink and dark turquoise for the color palette. Fun party colors! 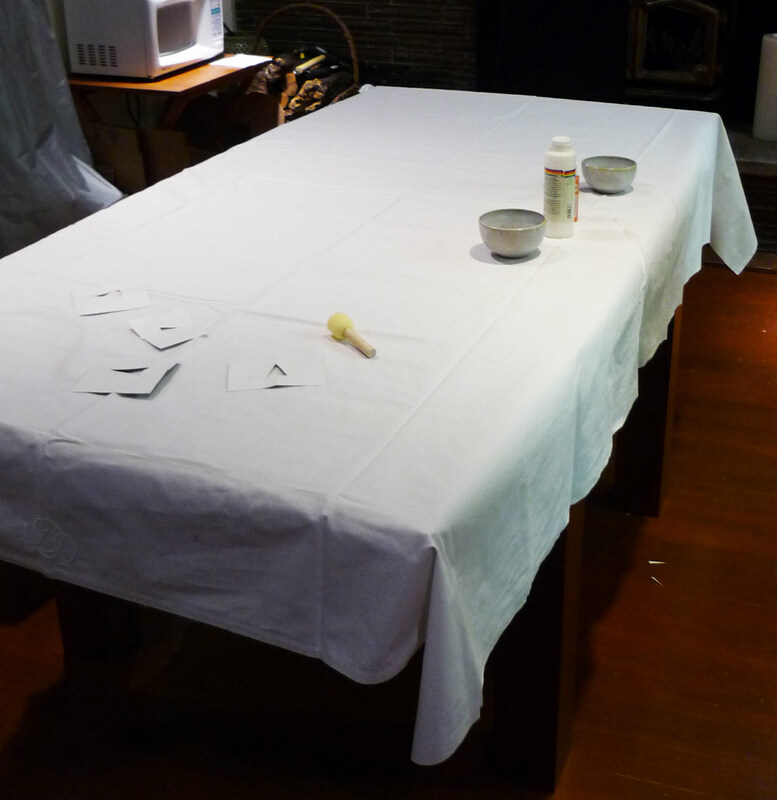 Once the paint had thoroughly dried, the final step was to heat-set the paint with an iron (following the directions on the Fabric Medium bottle). Once craft down! Many to go! So for about a week prior to my party, I started folding paper into fans, and taping those fans into round medallions. All different colors and sizes. 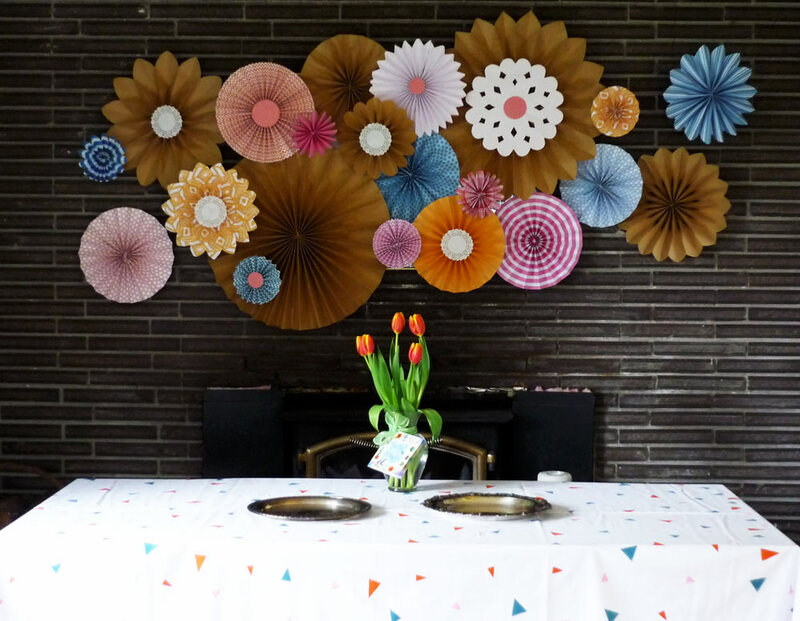 Some with petal edges, some just straight, some with doilies in the centers, some without. All of them coordinating with my blue-orange-pink color scheme. I love the overlap of all the different sizes and colors! It just looks so cheerful! To hang them, I used clear fishing line taped to the back of each medallion, then tied to clear push pins into the ceiling, visually gauging where each one would look the best with height and overlap. You could see the pins and the line if you looked closely, but for the most part they were invisible! For party food, I knew I wanted to keep it simple (purchasing my veggie platter, sliced cheeses, hummus and pita, and mixed nuts), because the one thing I wanted to make myself was Cake Pops! This was my first experience making cake pops. 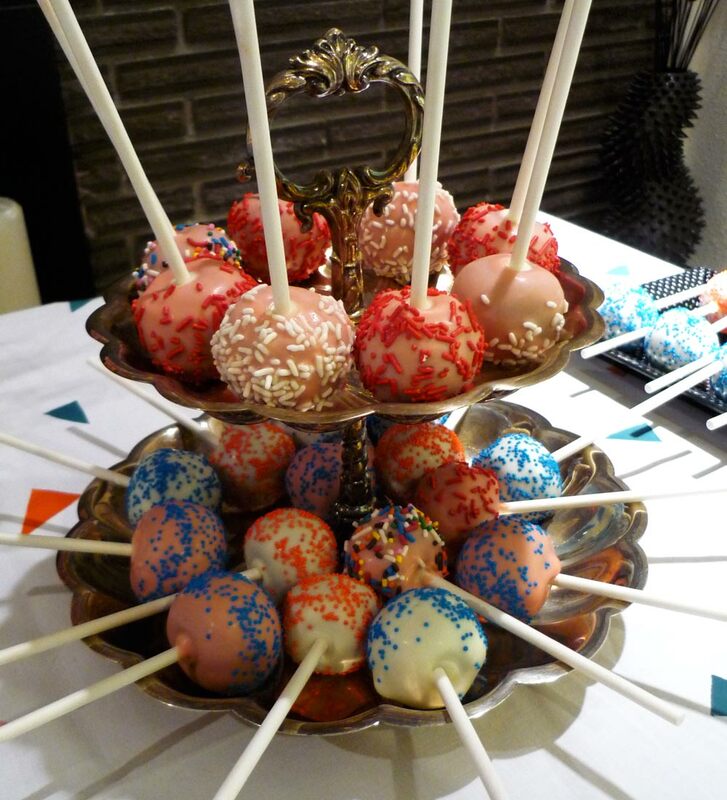 And in fact, my first time eating cake pops! But I’ve loved the idea and the cute presentation ever since first seeing it on Bakerella. I bought my sticks and candy melts from Michaels, and was all set to concoct these pretties. I discovered that my mixture was far too gooey! One boxed cake + 1 can frosting turned out to be a very wet ratio! 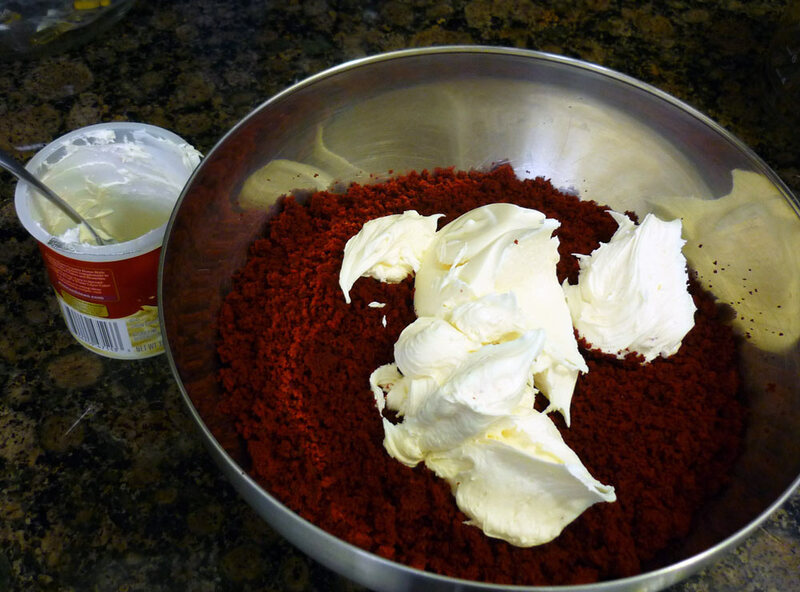 Next time I make these pops, I’ll start with less frosting and mix in more as needed, rather than dumping the whole can in at once (live and learn)! So as a solution, I quickly baked a half-recipe for simple chocolate cake from scratch, and added that to the mixture, which helped firm up the “dough.” All in all, my pops turned out super cute, and they were a big hit with everyone. 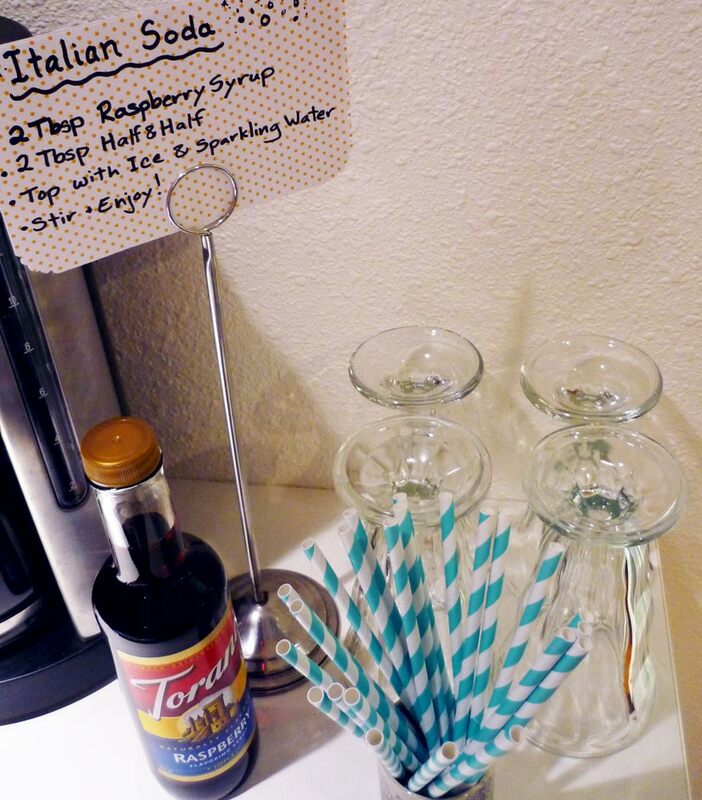 Another sweet treat that Pinterest inspired was Italian Sodas! So I made my own little drink station with fun soda-fountain glasses and fun stripey paper straws from HeyYoYo on Etsy! My last bit of party planning wasn’t inspired by anything I’d seen on the webz. But as a ceramic artist, I wanted to share a bit of myself with my guests, so taking a cue from those “paint your own pottery” places, I set up a crafting table where people could glaze a piece of pottery I’d made especially for the occasion. 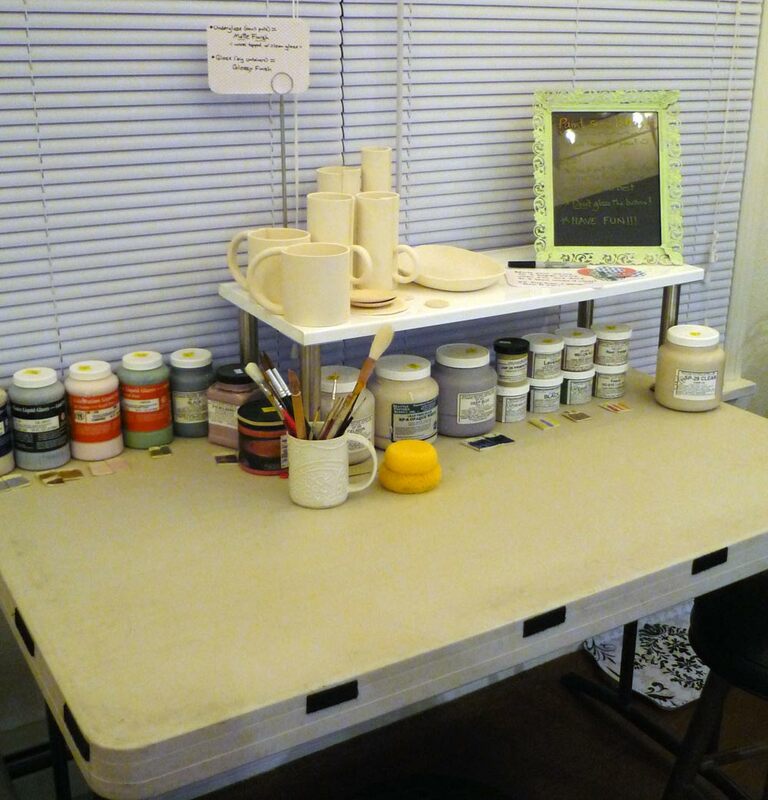 my very own "paint your own pottery" station! 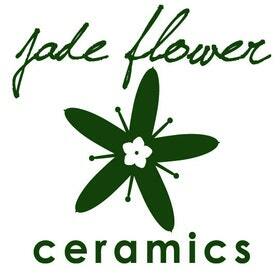 A random assortment of mugs and vase cylinders that could be personalized! It took some coaxing to get people to jump in, but those who did enjoyed it! I’ll be firing those pieces later in the week and sending it to my friends who participated! 🙂 Hopefully they’ll be a fun little souvenir of the evening. 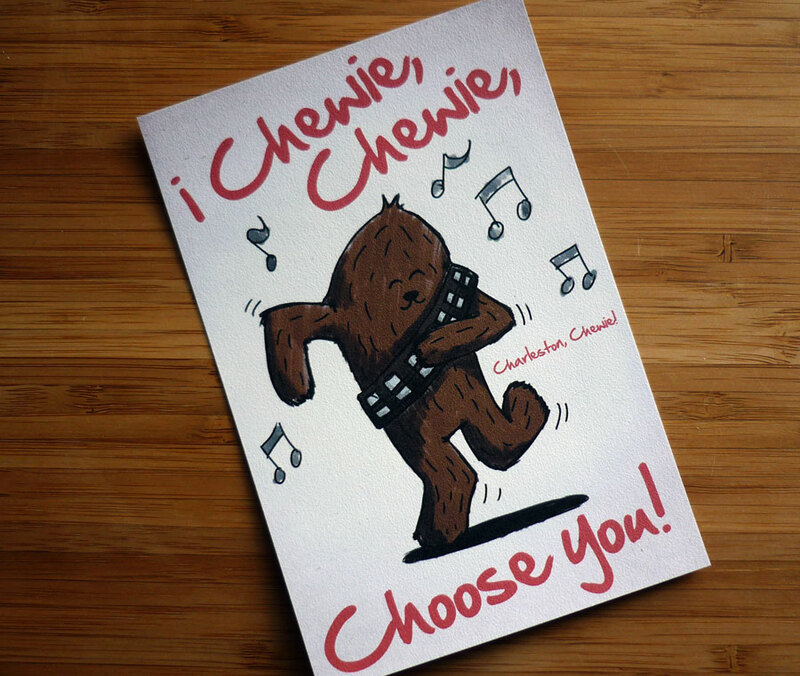 I Chewie, Chewie, Choose You! I just wanted to share real quick-like.